In this episode, host Missa Gallivan talks about the cornerstone of Alpine Valley School community. How do you know that your child will benefit by their alternative education? Look at the graduates. Better yet, come to an event and talk to a graduate (or just keep listening to this podcast)! 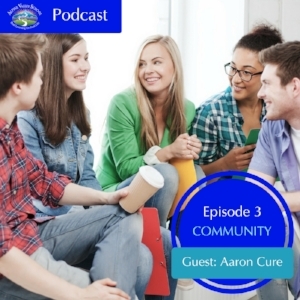 Guest Aaron Cure is the parent of an AVS grad, not to mention an employer of two more AVS alums, and he shares his uniquely positive take on the role of community in democratic education.